ContactInteractionSchedulable is used to update the last/next interaction dates on accounts based on the last/next interactions seen on their contacts. The job at present modifies all accounts even though their last/next interactions may have not changed. When creating events in the Calendar in OWA the Lightning for Outlook icon displays unpredictably being visible sometimes and not others. Public Cloud instances(NA99, CS98 and CS99) are not getting the correct Global Provider Keys and Secrets. Preventing things like Lightning for Gmail or Lightning for Outlook to use Oauth to authenticate. Users looking to share records streamed into the activity timeline see errors when they try to share the records to a group they are a member of. The sharing of the record to the group will not succeed. In contrast the users can successfully share the records to the "Everyone" group. Lightning Sync OAuth 2.0 for Office 365: Unable to authenticate with Azure Germany tenant. Outlook crashing/not responding when selective emails are trying to be forwarded when Salesforce For Outlook is running. In lightning, the Owner field is not available when creating a list view for Service Appointment Object. 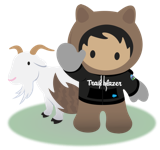 LFO - Error thrown during authentication:"Try again,or contact your administrator and mention we couldn't validate the Exchange identity token"
In Salesforce Inbox when attempting to insert availability for a recurring event this event will not be marked as free. Additionally the email will show the time slot as occupied instead of free. For migrated orgs, trialforce, or sandboxes that included permission set license assignments and were created or migrated before 214: --The permission set assignments might be missing. New migrations or sandbox/trialforce creations don't encounter this issue. Organizations using custom Quick Actions to create or update Person Accounts will find these actions do not fully function in Lightning Experience and may result in an error on Save. In organizations with Einstein Analytics Encryption enabled, jobs may sometimes take considerably longer than previous runs. Account Owners cannot select proper Opportunity or Case Access level when adding Account Team Members. Duplicate Lead assignment rule notification emails are sent for Leads created via API (e.g. Pardot, Apex). Specifying a required password for install of package created in packaging org is not prompting for the password during install in subscriber org. Belarus has added a new official currency but it's not yet available in the list of available currencies. A changeset component for RemoteSite disappears from the list of "Change Set Components" in the "Change Set" page once the outbound changeset containing it is closed. Previous choice on the Salutation field becomes the default value in the next create New page. Since Spring '18 the Salutation field remembers your choice when you don't save it until you refresh the Page. Quote Record Type field isn't available in the Filter Criteria and "Select Fields to Display" to create a new view due to which inline edits from the listview is prevented. When Path is enabled, "Export as XLIFF" with Translation Workbench does not work fine. If you use "Export as STF" the export works fine, but this result cannot be used for Import. Users cannot create any new records from related lists on person accounts. They get the following error: "Custom Contact: id value of incorrect type: 001100000000000Ooo" This problem occurs when the related custom object has a master-detail/lookup relationship to the Contact object. When a managed package which includes sorted flow dynamic record choice element is installed in a subscriber org, the sort order is not preserved in the subscriber org. Process builder criteria node with ISCHANGED() function on rich text field is always returning true even if no change is made to the field. An internal server error appears when trying to edit Order Products in Lightning Experience if blank spaces are added to the Order Product page layout. Upon Sandbox refresh, CaseTeamMember records are not being copied. Copy process copies the CaseShare rows with rowCause Team , although, corresponding CaseTeamMember rows are not being copied over. Change Owner lookup in Change Owner UI for WorkOrder entities returns public Groups when Queue is selected in LEX even though they are unavailable for the field. Account and Contact name are not auto populating when creating a new case from the related list on assets in Winter '18. In Lightning Case Assignment Email notification is sent to Queue members/User when ownership is changed through Workflow Field Update. This issue also affects Process Builder field updates. Related lists placed in a narrow portion of the Community (e.g. a column on the right hand side) won't display all the values or a scrollbar making the content hard to read. In Lightning Experience, when editing reports that contain cross filters, users may receive an API error message that states "Specify a valid related object". Korean Lightning dashboard subscription email subject contains extra characters "테스트(&#50556;&#54980;! &#44160;&#49353;"
Trying to add a time trigger to the warning or violation actions for a milestone on an entitlement process gives an error when done in Lightning Experience in Spring '18. Error: "You don't have access to this record. Ask your administrator for help or to request access." Case and Contact Related Lists do not have a "New" action button available on Order Product Item Detail page related lists in LEX when they have a custom lookup to Order Product. The My Messages link under your User options does not work in "Customer Account Portal" community. Phone information in the Highlights panel moves to the background in the Lightning Console after moving back from the main tab for the object. For example: open a Contact record, move to the Contacts tab and then back to the Contact. Asset Owner field doesn't return Community Users, However, Community Users are valid Asset Owners via Asset Settings changes or Api. Inactive Price Books are showing when trying to create a Contract in Lightning Experience. Only active ones show in Classic. Multiple Work Orders or Work Order Line Items are not getting created due to Lock on Pricebook field. Expired change sets incorrectly show "Change Set Unavailable" message instead of "Change Set has expired"
For orgs with a large number of users, the operation to assign users to a Permission set may take a long time to process or might timeout. Live agent Error in lightning Omni console app when a chat is auto-accepted with auto-accept settings enabled at a button level. Not able to see the connected app details in the TSO org. If you select a value in a picklist field (single or multi-select), save the record, and then go to Setup and deactivate that value, its API Name will be displayed in Lightning. Cannot disable a Customer User when there is a Process which updates the User record at the same time. Cannot permanently disable a Customer User when there is a Process which updates the User record at the same time. In lightning, the action bar dropdown disappears quickly making it difficult to make selection when dropdown has several entries. This issue may also appear on the Key Deal component from the home page where several opportunity list view may appear in the selection. Login Flow does not work with IP restrictions when “Render Flow in Lightning Runtime” is checked. When customer has Profile IP Restrictions, a Relaxed Restriction on IP in a connected app, and a Login Flow with Render Flow in Lightning Runtime Checked. The Relaxed Restrictions will not be taken into account and profile restrictions will be used. In Lightning Indirect lookup on field of type Number throws an error in parent's related list. This same functionality is working in Classic. LEX Note's "Add to Records" displays custom settings objects. Custom Settings objects should not appear as possible object to associate to Notes record. query on deleted CaseMilestone records with fields: TimeRemainingInMins, TimeSinceTargetInMins will fail with "entity is deleted"
Trying to add a Work Order Sharing Rule to a Change Set results in an Insufficient Privileges error. Customers Apex tests are supposed to stay for 30 days if they are not manually deleted before then, but Tests results not retained for 30 days. Customer is observing that tests that are run async are not having their results persisted for this length of time. Formulas which reference multi-select picklists do not work correctly when referenced from Process Builder on a related object. Customers may notice that some end users might see the notification as in the screenshot below even though chatter is not enabled at the org level https://sforce.co/2HL9i1A This usually happens to the users that have "Customize Application" profile permission enabled. hasAttachment is set to FALSE if EmailMessage has Attachment and ContentDocument and the Attachment is deleted. The Lightning Experience keyboard shortcut to close a record page (Shift+X) does not always function as expected when using the Safari browser. This is because the DOM element that is focused is outside of the workspace. In Napili community, even Show Topics is unchecked in Ask a Question component in Community Builder, Add Topic in Ask a Question is displayed if a mobile browser is used. In Lightning, "Queues" is not an option when changing the owner of Quick Text records even though the ownership field data type is Lookup(User,Group). Users are the only option for ownership. Changing the record type does not always reload the actionsRibbon component for that record type so the buttons displayed might be incorrect until you refresh the page (one or multiple times). When a profile has millions of portal users assigned to it, it is possible that adding or removing a apex class access from that profile will result in a time limit exceeded error. When a user has been locked out for certain time period and in between if initiates a refresh flow then the user will be unlocked. User should only be unlocked after set period of time or when admin unlocks them. Creating a process builder on the Feed Item object, and then including ISCHANGED() in the criteria (only through criteria builder), will yield an internal server error if you navigate back to setup and then try to open the process again at a later time. When the error is added in a before delete trigger on ContentDocumentLink, the error message is displayed correctly, but the page title shows as NULL. When tapping on the pencil icon or double clicking on any field to inline edit in Related Record component, the target fields are not highlighted without clicking into the field. This works with a Detail component. Chatter profile photo does not render correctly in IE11. When using the recently introduced sorting feature on a report that has a chart defined you may encounter an internal server error. This will occur specifically when the report is based on a custom report type using a "with or without" relationship between contained objects. Survey doesn't appear as an available item when customizing Console Apps. The unit price on reduction order products is not aligned with the correct product if the same product is used multiple times with different unit prices. As a result, the "Order Amount" has an incorrect value. When a session based permission set is activated for a user in lightning, the permission will not always appear to be activated because the UserInfo cache does not always get updated. When creating new records in Lightning Console, if a validation error is triggered, the page does not jump to the top to show the message: "Review the errors on this page"
When saving Forecast Settings using Lightning Experience in the Safari browser, an unexpected error message will display at the bottom of the page. This is being caused by a known issue impacting iframes in Safari. Incorrect custom tab is highlighted when editing/creating a list view. When hitting DML exceptions during bulk inserts, apex governor limits are not reset on chunk retries as noted in documentation. Some customers may get error when upgrading a managed package: (ExternalDataSourceName) Cannot Modify Managed Component The component you are attempting to modify is part of a managed package, and cannot be modified. When accessing a Community login page from an iOS mobile device, any multi-byte text entered for the username or password labels will partially cut off when displayed. The filter which still has ambiguous NOT/AND or NOT/OR should not be allowed to be saved. The filter which still has ambiguous NOT/AND or NOT/OR should not be allowed to be saved. For instance, "- "NOT (1) AND 2 " - "NOT 1 AND 2"
Analytics - When a toggle widget contains no options, the following error is shown: "LC.getLabel is not a function"
If a toggle widget contains no options, the associated step displays an error: "LC.getLabel is not a function" The expected behavior is for the widget to show "No options available" instead. Content Body sync shows 100% completion while Statistics shows other value. Sync job on Content Body finishes successfully. Estimator run shows 0 record in plain text. Under certain circumstances, a timeout can occur on the Visitor record during the process that upserts Live Agent Transcripts, which causes a second Transcript to get created. 'Time Limit Exceeded' occurs when adding "Wave Dataset Metadata" component in a change set. Queue Position is showing numbers drastically outside of queue range for chats. If the Queue Position field is exposed on a custom chat window, sometimes customers may see that their queue position is greatly outside the queue length (if any) that is configured for the affected chat button. Transcripts will also display the varying numbers as well in the history. Chat Window and Post Chat windows do not contain scrollbars and are not resizable within Firefox result content is getting chopped. In Lightning Experience, the text area field displays the carriage return as "<br>", and the values in that field are not broken into separate lines. The long text area field does not respect the carriage return at all, and the values in that field are not broken into separate lines. The case object when viewed through lightning, does not show the "Due Date" field in the activity history or open activities related list when added to the proper first 4 fields. Custom actions are no longer visible in mobile communities record detail page. Omni-Channel connection/session is lost while users are working because of network loss. Quantity field does not show a default value in Lightning when "Supply Default Opportunity Line Item Values" is enabled for the org. When the permission "Supply Default Opportunity Line Item Values" is enabled and the Lightning Experience UI is being used, the Quantity field does not show a default value when selecting a product. The Related List Lightning Record Page component can prevent users from viewing tasks and events in either the Activity Timeline on a record or in the Calendar tab in Lightning. Potential Duplicates card (Lightning Component) may not show proper existing duplicates if fields in duplicate rule condition are not present in associated matching criteria. This is not entity-specific. Error Message, ' You dont have access to this record. Ask your administrator for help or to request access.' appears intermittently when opening Calendar tab. This issue occurs in Lightning Experience only. If you retrieve a List View on a Custom Setting along with the Custom Setting object when using Metadata API in a single transaction, the List View information is not retrieved. Milestone tracker displays the "actual hours" properly in Classic but in Lightning it shows Business hours instead. If there is an AuraEnabled method in an APEX class and it returns an Object that contains Blob value, one would get Internal salesforce Error with some ID. If a user does not have access to a field, for which a duplicate rule is setup to check duplicates, there is no error thrown for person account. However, if the same is setup for a different object (standard or custom), the error is displayed. Duplicate error doesn't return valid field or record id details when trying to create a record. When you attempt to enable a Customer User from a Person Account, it will not auto populate the Email, Username, or Nickname on the User Creation screen. When you have a Permission Set that has the "Session Activation Required" setting checked and "Modify All Data" enabled assigned to a non-System Admin user, it can prevent you from enabling Lightning Experience in your Org. In Lightning Experience, email subscription to a Matrix report with summary columns or row count will show the column headers offset by adding headers for row count and summarized rows, but it is not moving the data to the corresponding column headers. In a Napili Community, tooltips may fail to display when initially hovering over Help Text. This specific issue occurs when a modal is opened to select a Record Type, prior to opening a related list's "New" entry form. Two-Factor Authentication does not consistently working with Single Sign On in Lightning. In Lightning Console Apps, attempting to inline edit a Person Account “contact” in the standard ‘Related Record’ Component associated with a Case record results in (1) an initially unresponsive edit attempt, followed by (2) a non-specific error. When creating a work order record from the case object, in Lightning UI, the Account and contact information is not populated from the case record. This is contrary to the current functionality in Aloha UI. The PhotoURL field is on the "Account Team" related list by default for the Lightning UI. This is not editable in any standard options and creates a redundant image that is taking up page space. When you assign an Audience to a Community component and the Audience has criteria set by User.LastName and includes an apostrophe in the name, such as "O'Leary", it results in an error and the Builder become inaccessible. Community global actions are not available in the highlights panel on Work Order object. Global actions are also not appearing when set in the Feed Publisher (Global Type). If a Process is loaded for execution during manage package installation (may be as part of postinstall script execution) and the current execution context has API version less than 32.0, the process load will fail and eventually package install will fail. In lightning, Click Add action button from Campaign Member Related List will show an error if the contact name field is encrypted. If a user with the “assign permission set” permission but does not have “View set up and configuration” permission, tries to assign a permission set to a user they will get the error. "Remember me" functionality in Login page (e.g. login.salesforce.com) does not store multiple user info. This issue occurs intermittently. Sometimes, when the Kanban list view loads, a custom currency field does not display. After refreshing the web page, the values display. The Status field for Order quick actions does not populate the predefined value when a custom picklist value (Not Draft or Activated) is present on the field. This occurs on the Classic UI when using the standard layout type (not feed based) or Lightning Experience. A DataTime object which is deserialized from a JSON string and a DateTime object which is constructed from the DataTime static method could generate different hashcode even though the equality test is evaluated to TRUE. When the flow screen is visited again in a logical loop (not iterating inside a loop element), the default value of a number input element is not populated properly - rather it retains the value entering in the screen during its first visit. New Button on Object Home does not load Visualforce Override in Salesforce1 and Lightning Experience. The New button on Object Home page has inconsistent behavior between platforms dependent on if the standard New button is included in the List View Search Layout. If it is not included in the List View Search Layout then any Visualforce override set on the standard New button is ignored. When trying to create an opportunity list view chart in SFX, the standard “Forecast Category” field is showing twice in the Aggregate and Grouping fields drop down. In Analytics Studio, when editing a dataset, the following warning may display: "UNKNOWN_EXCEPTION: common.sql.QueryBuilderRuntimeException". This happens because, at database level, the lenses and dashboards related the the dataset, can't be found. Sorting of Opportunity Products is not retained when refreshing the Opportunity record once you sort the full list of products based on a sortable field when in Lightning Experience. The buttons in the highlight panel are not consistently rendering properly. Overflowed buttons are not grouped in Dropdown menu. In Kanban view - end user can edit some records but not others, even though user has edit access to all records in the list. Chatter Free User cannot set up an out of office message in Chatter. The "Knows About" View all/Add dialogue does not resize correctly when the topic list is over 25 items within a Lightning Community (Napili, Partner Central). In Lightning experience, when changing record type for any Sobject, changes are not being published and the record type page runs in an infinite loop and doesn't save the record. This behaviour is observed only when standard view is overriden with Visualforce page. Work Order picklist values are in English After activating the Work Order object on an org and then exporting the Translation source file. This occurs when the Org source language is Spanish. Organizations may find that newly created Picklists based off global value sets are non-functional. Lightning Email Template Insert: Insert template dialog shows the table of available templates in the form of a grid. Some column headers can be clicked to sort by name, creation date etc. Initial hover on the ‘Contact Name’ field (associated with a Person Account) from a Case record, incorrectly displays the Compact Layout associated with Contacts instead of the Compact Layout associated with Person Accounts. Lightning + IE11 , Regression in 210 (Winter 18). Once Export the report, all Tabs become not working, IE debugger shows "null defined". This is after "I AGREE, Use IE11 with Lightning Experience during the Extended Period" is checked and saved in Session Settings in Setup menu. When attempting to utilize Snap-Ins with Translation Workbench, the Snap-Ins Component is not translating to the desired language when using Site.com/Force.com/Communities within Salesforce. When referencing a Contact field in a Custom Summary Formula on a Case Report, no value is returned if Person Accounts is enabled.